Marriage Facts | Did you know ?! 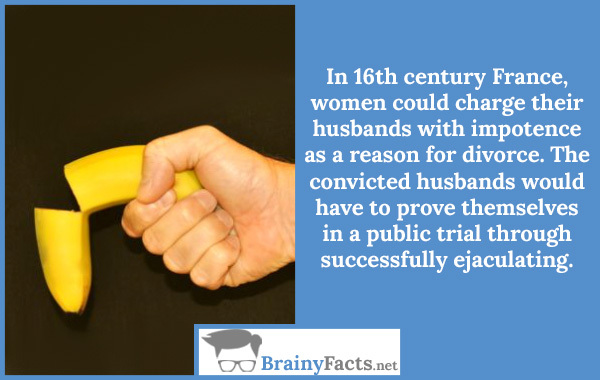 In the 16th century France, women could charge their husbands with impotence as a reason for divorce. The convicted husbands would have to prove themselves in a public trial through successfully ejaculating. Discover facts about dating and marriage including its cultural and historical origins, traditions, superstitions, love, lore, marital status, anniversary gifts, and much more. 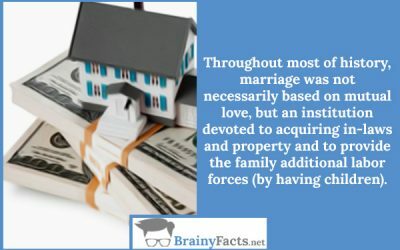 Throughout most of history, marriage was not necessarily based on mutual love, but an institution devoted to acquiring in-laws and property and to provide the family additional labor forces (by having children).